The facts of the case, Mount Lemmon Fire District v. Guido, were relatively undisputed. The Mount Lemmon Fire District in Arizona was facing a budget shortfall and therefore laid off two firefighters, John Guido and Dennis Rankin. Guido, age 46, and Rankin, age 54, were the two oldest firefighters in the District. Rankin and Guido filed suit, alleging that their termination violated their rights under the Age Discrimination in Employment Act, known as the ADEA. We hold that §630(b)’s two-sentence delineation, and the expression “also means” at the start of the second sentence, combine to establish separate categories: persons engaged in an industry affecting commerce with 20 or more employees; and States or political subdivisions with no attendant numerosity limitation. “[T]wenty or more employees” is confining language, but the confinement is tied to §630(b)’s first sentence, and does not limit the ADEA’s governance of the employment practices of States and political subdivisions thereof. 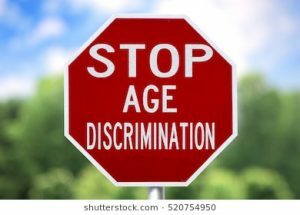 Thus, it is clear that the ADEA protects New Jersey state and local government employees from age discrimination regardless of the size of their employers. Fortunately, while the Supreme Court clearly made the right decision extending the ADEA’s requirements to protect all state and local government employees, this question has never really been a problem for New Jersey government employees because they are protected by New Jersey’s Law Against Discrimination (known as the “LAD”). The LAD gives employees greater substantive and procedural rights. Indeed, not only does the LAD protect older employees from age discrimination, the New Jersey Supreme Court has held that it even protects younger employees from reverse age discrimination. (That case, Bergen Commercial Bank v. Sisler, is a great example of just how broad the LAD’s anti-discrimination protections really are). The language of the LAD itself and New Jersey Supreme Court case law makes it clear that the LAD applies to New Jersey state and local governmental employers. Our employment law attorneys represent employers and employees in all phases of employment law, including age discrimination. We have extensive experience in handling litigation and negotiations in both the private and public sectors. Call us at (973) 890-0004 or email us to schedule a consultation. We can help.